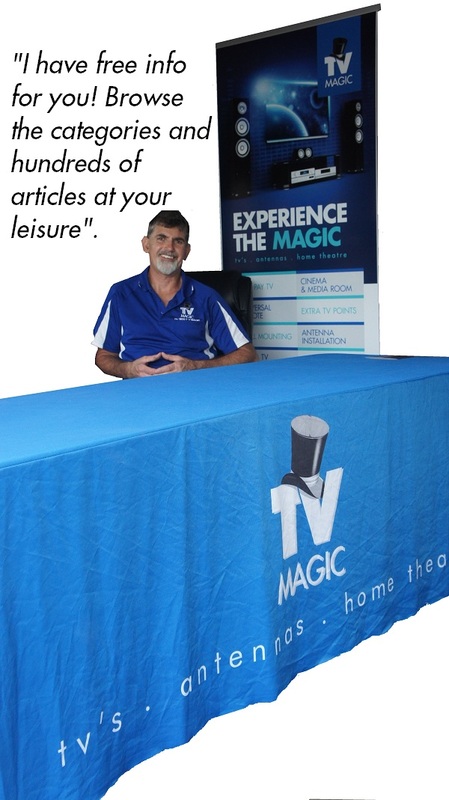 Tv Magic connect set top boxes and televisions for customers all over. Tuning of your set top box is crucial, as if you don't get it right - you may think you have bad tv reception, just get a crumby picture or no picture at all and tear your hair out. There is a picture below of how to setup set top box - detailing what all the different plugs are for on the back of a typical set top box. There is simply too many combinations of problems to list on a website that one may discover when attempting their set top box setup. Click now! Book a technician to connect your set top box! Many set top boxes may vary slightly in positioning of plugs and various other options but colours stay true no matter what set top box you have. Connect set top box to your television should involve consideration of the right choice of cables to get the best picture and best audio quality.